Also, you may send a message to us using the feedback form on the page Customers Reviews. 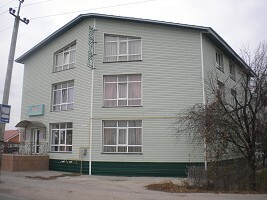 Ukraine, Kievskaya obl., Borispol, Momota str., 6. By bus #2. Go to the bus-stop "Sotsgorodok". Leave the bus and go ahead along the Kiyivsky Shliah str. till next traffic light. At the traffic ligt turn to the right to the Momota str. The 4 Seasons Hotel is located nearly in 100 meters to the right. By your own car. Leave the airport and drive nearly 3 km till the viaduct. Before the viaduct turn to the right in the direction of Borispol town. When you will get to Borispol, count down 6 traffic lights. At the sixth traffic ligt turn to the right to the Momota str. The 4 Seasons Hotel is located nearly in 100 meters to the right. By bus #316 (from "Livoberezhna" metro station), #317 (from "Kharkovska" metro station) or #318 (from "Chervoniy Hutor" metro station). 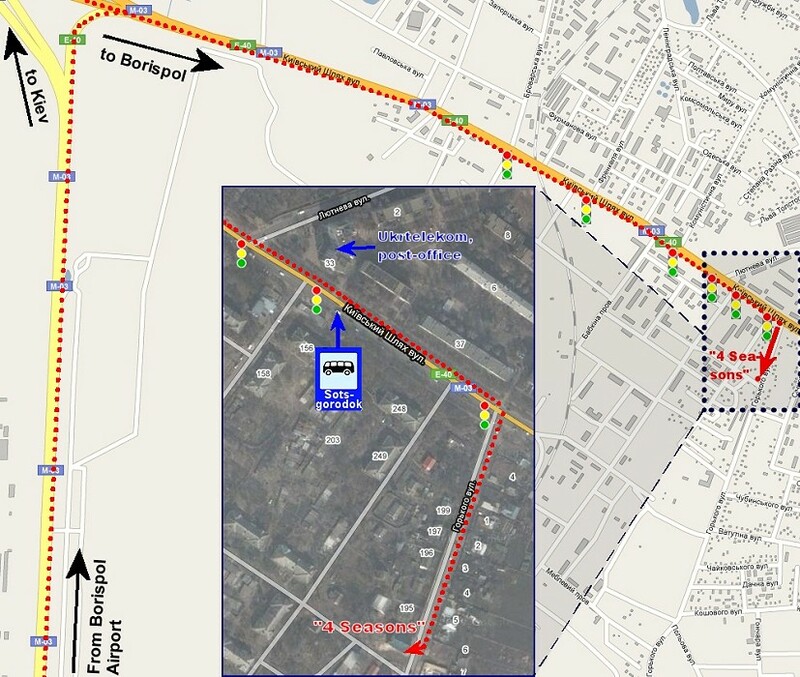 Go to the bus-stop "Sotsgorodok" into Borispol town (located nearly in 15 km from Kiev). Leave the bus and go ahead along the Kiyivsky Shliah str. till next traffic light. At the traffic ligt turn to the right to the Momota str. The 4 Seasons Hotel is located nearly in 100 meters to the right. By your own car. Go to Borispol town that located nearly in 15 km from Kiev by Kharkovsky highway. When you will get to Borispol, count down 6 traffic lights. At the sixth traffic ligt turn to the right to the Momota str. The 4 Seasons Hotel is located nearly in 100 meters to the right. You may view the travel directions here or to view the location of our hotel on the interactive satellite map.